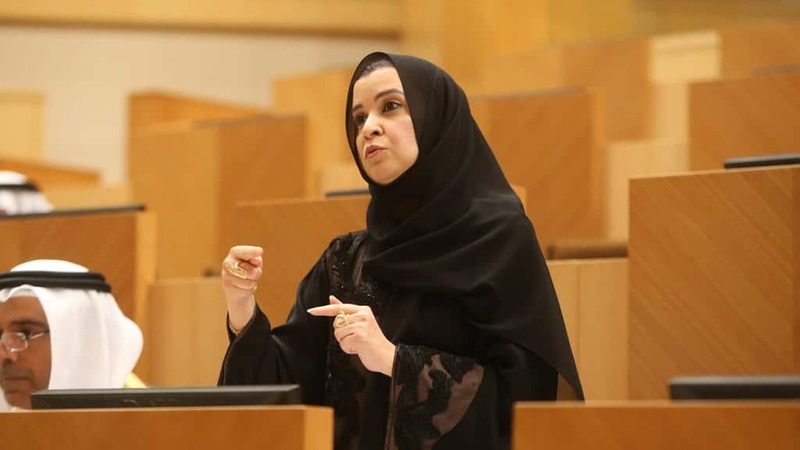 Amal Al-Qubaisi, Chairperson of the UAE Federal National Council has praised Saudi Arabia’s efforts in improving security and development in the region. Al-Qubaisi met with members of the Saudi Shoura Council during their visit to the UAE, headed by Ahmed Al-Ghamdi, the deputy chairman of the Saudi-Emirati Parliamentary Friendship Committee. She went on to detail that the Saudi Royal family have made great strides in improving both local and international security issues, and have been instrumental in establishing regional stability, then adding that Saudi-Emirati strategic relations are working well and that coordinated efforts between the Shoura Council and the FNC are proving highly effective. During the meeting, delegates from the two Nations discussed ways in which the council and FNC could “enhance parliamentary relations” and improve cooperation.